Earlier this year I had an encounter with a yearling in the woods – it was an old friend, a friendly fawn. Last night I ran into the fawn again, but he’s all grown up! 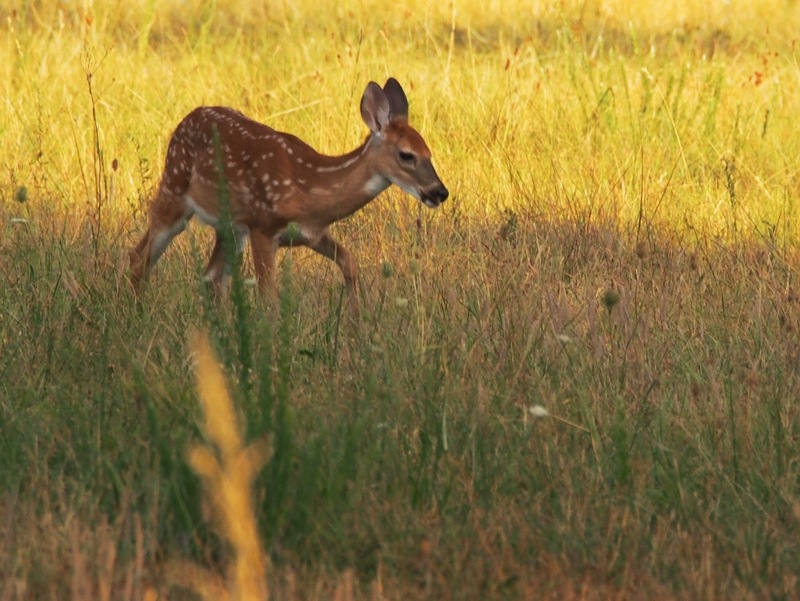 These aren’t the best photos – I was not very close and was loosing light, but it is my fawn! I think I’ll just call him “Friendly”. He’s sporting velvet now. Friendly’s white mustache shaped marking is there – but I knew it was him because of that look! His eyes are unmistakable and the white mark on his nose is there – but that’s not what clued me in at this distance. It was his manner. He was with three other deer. The doe with him in this shot is his aunt – I have several shots of her over they years and she is not very friendly. 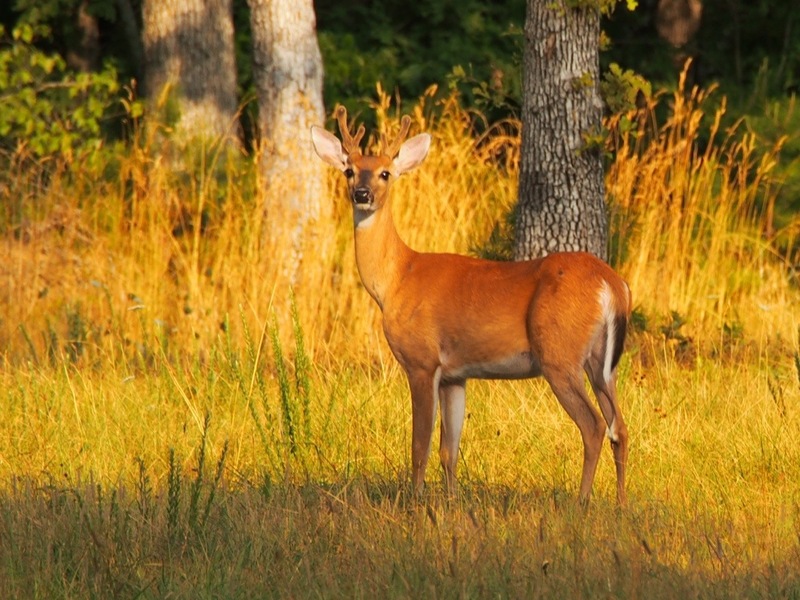 Here you can see the posture of the doe – she is not approachable and is not friendly. Her sister is the Friendly’s mom. Looking at her in this shot she is getting ready to snort and bolt. But not Friendly – he’s watching me, tail down and calm. This was actually the first photo and you can see that his position is unchanged as I got closer. Here’s a shot of his mother with his newest younger sibling. Doe is pretty calm as always but this baby was not – no white mark either. Doe typically has twins or triplets so this is a light year for her. Both her and Friendly stayed put as I got closer. On this evening Spot made the call and bolted, the others followed. See Spot Run! A raised tail is a sign of danger, Spot doesn’t know I’m harmless…yet. I think this is the beginning of a beautiful friendship – I think that “friendliness gene” does exist. This entry was posted in Ozarks, Photography, wildlife and tagged Arkansas, Eureka Springs, Freshly Pressed, friendliness gene, Olympus, Olympus E-M5, Ozarks, photography, White tail deer by artsifrtsy. Bookmark the permalink. I have some regular deer visitors at my house, too. 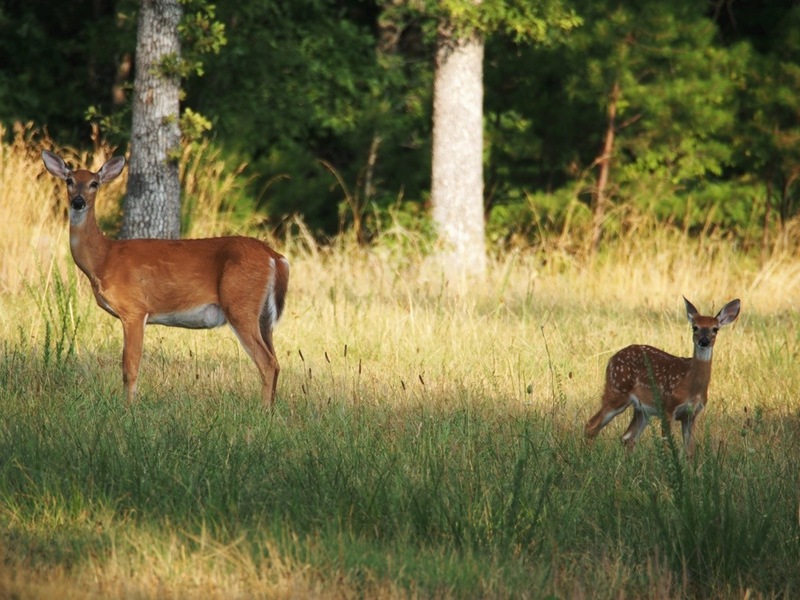 One year the doe gave birth in my front yard … it was amazing. Her twins made a regular evening visit to eat grass in my yard every evening like clock work, so I got to see them grow up. 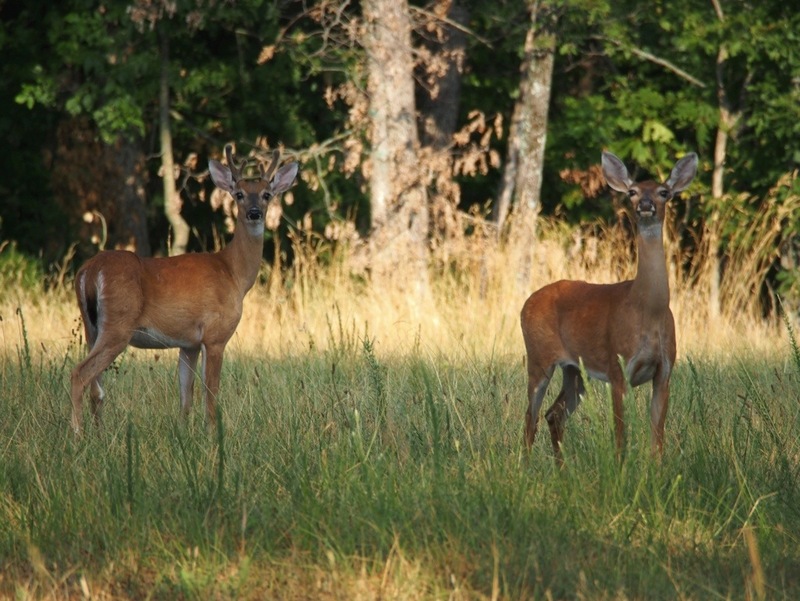 This is my first summer without regular deer visits … I think it is because of road work (I live next to an old gravel pit where they started crushing the gravel and making the blacktop for a local road) … I hope when things quiet down the deer come back for a visit. I enjoy your pictures. What State are you living in? I had deer in the yard before I had more than two pups, and I think you are spot on about curiosity, Friendly has stopped to watch me his whole life, so has his mother. I have had encounters with antelope in the west by waving something large in the air, their curiosity takes over and they come very close to see what was happening. Having a deer deliver so close would be such an amazing experience. I’m in NW Arkansas, near the Missouri line. Great shots! 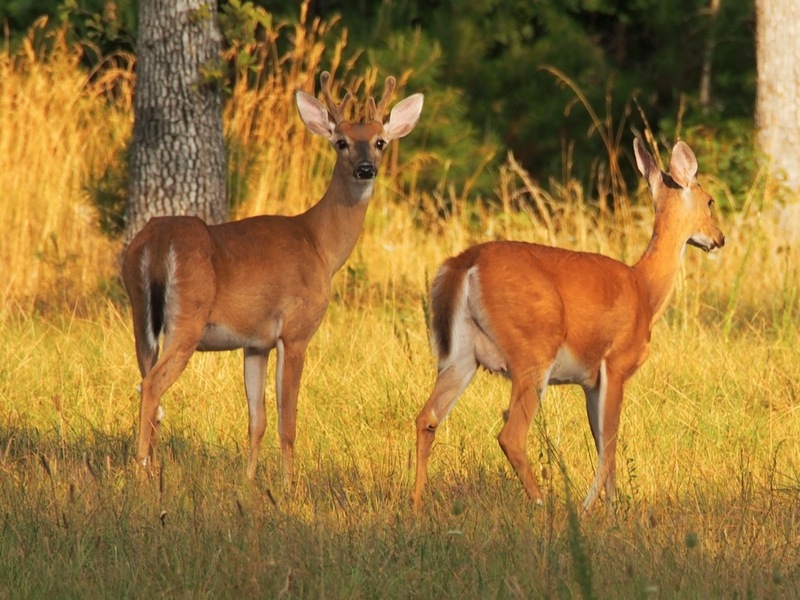 I’ve never been able to get that close to any deer…except those that run out in front of my car! Thanks, you know I was reading that whitetail learn to cross roads safely, that most traffic accidents are caused by young inexperienced deer. That makes sense. He has seen me around since his mother first brought him to the meadow. 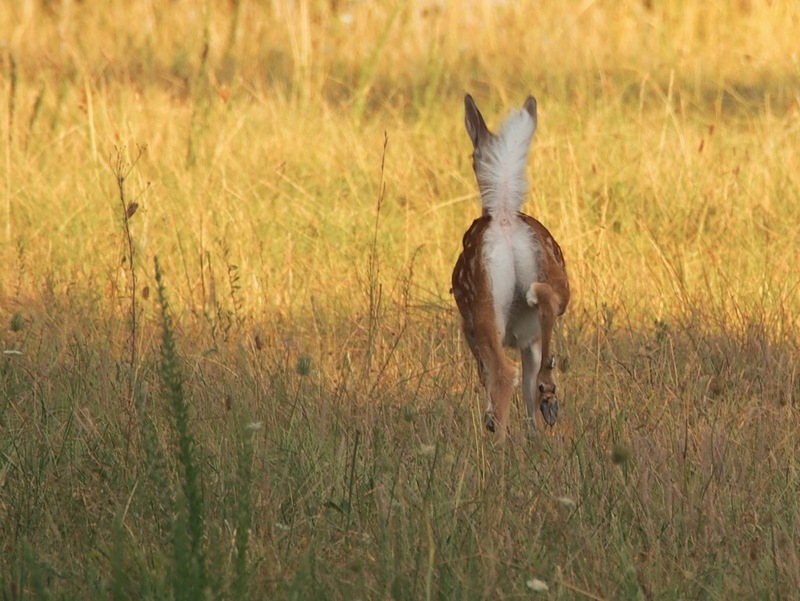 That’s an interesting angle with the fawn taking flight and you can see the upturned white tail and posterior. Don’t think I’ve ever seen a shot from that angle before, so thanks for sharing. It must be nice to experience wild animals who feel calm and safe in your presence. Maybe Spot will eventually too. Probably not Spot’s best angle 😉 I was reading that the reason the tail is white underneath is because it’s visibly like a flag. The tail down is a sign of an unconcerned deer. It is pretty special to see the same couple of deer that I recognize. Even cooler when they recognize me. Thanks Dianna – they really do! I love the idea of a relationship with a deer man (chortle, chortle). Around here there are so many deer that I worry about how all of them will survive the winter. Or even the summer. We are even seeing large bands of males in yards — unheard of. Tonight on my drive home from work, a 10-pointer crossed in front of my car, and meandered to the other side. He was beautiful. But it is rare to see the males around her and that makes me think that the winter will not be very forgiving. Of course your deer man will do fine. LOL – We have a large herd, and every spring I worry until I see my pals. They had an archery hunt in the city last year, to try to thin the herd, there is worry about it growing too large, but I think that there is plenty of room and food sources here. It is odd to see large groups of males in deer, and it’s dangerous to drive around. The herd I shoot lives in a land trust where hunting is banned, they have a large area across a couple of ridges and rarely come near a paved road. I was so excited when I saw that nose! I’m hoping he stays close. It’s nice to meet up with old friends! Thanks Robin, I had lost track of you and just checked out your new space. Very cool. Thanks, every time I see him I am amazed. They really do each have unique personalities. One evening on our walk, my black lab paused about 10 feet from a doe who was eating grass just off the path, and he started eating grass too, just like it was the most natural thing to be grazing with the deer. She was not alarmed, and my lab gave no reason for her to be alarmed. It almost looks like Tia Snob-Snorter is showing her teeth in that second shot. Friendly is turning into a handsome dude. I think you have made a friend for life. how lovely to have these beautiful animals on your doorstep. We are supposed to have deer in the woodlands around here, but I have never seen one. I live pretty deep in the woods so I hear them all the time – I actually found these guys across the hollow. I love seeing them, such beautiful creatures. I live right in the middle of town. My yard is a postage stamp, but we’ve let the back go “native.” Deer often cross through early in the morning. It’s a lovely sight. I see them out by my shop, the pups won’t let them near the house, but the are so wonderful to watch. Lovely is a good word for it.